If you are going to be traveling to the Denver Metro Area in the near future, try staying in a fully furnished corporate rental. All properties listed below include all furnishings, linens, towels, bedding, housewares, parking, capped utilities, expanded basic cable, wireless high speed internet, and domestic long distance all for one great price. 2 Bedroom/3 Bathroom Downtown Denver Loft near Coors Field. This amazing loft is 1,600 Square Feet with both incredible mountain and city views. This property has a 500 Square Foot balcony with an outdoor fireplace. Some of the properties features include High Cathedral Ceilings; Rustic Wood & Stained Concrete Floors; Granite Counter-tops; Maple Cabinets; Stainless Steel Appliances; Large Flat Screen TV in Living Room with DVR; Large Flat Screen TV in Master and 2nd Bedroom; Stack-able Washer/Dryer; Outdoor Covered Parking; and Lots of Storage Space. 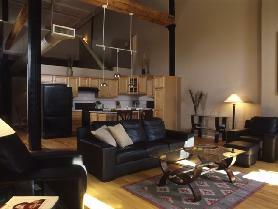 To view more photos, maps, and information about this truly inspired loft, please click here. 2 Bedroom/2 Bathroom 30th Floor Downtown High-Rise Condo. This spacious condo has 1,257 Square Feet. This building is located right on the 16th street mall conveniently located to restaurants, bars, nightlife, shopping, public transportation, and entertainment. The building also has a 24 hour security desk and secured entry; sun deck on the 32nd floor complete with pool, fitness center, steam room, jacuzzi and sauna. The property boasts great city views; it has been newly remodeled with an upgraded kitchen and bathrooms; master bedroom has a king bed and a large flat screen TV; 2nd bedroom has a queen bed; and the living room and both bedrooms have direct downtown views. 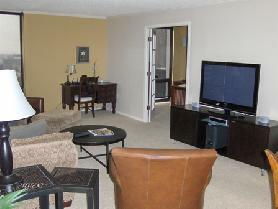 To view more photos, maps, and information about this high-rise condo, please click here. 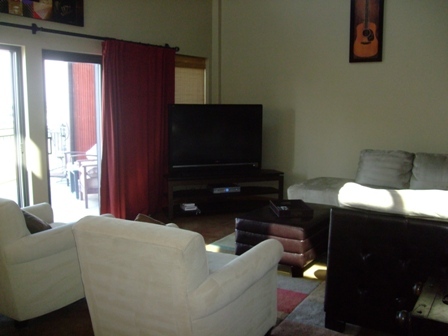 2 Bedroom/2 Bathroom Denver Technical Center Condo. The building is secure with access to elevators and offers a pool, spa, fitness center, and club house with a pool table and business center. The unit features include: a king bed in the master and a queen in the 2nd bedroom; Flat-Screen TV in Living Room; Stainless Steel Appliances; Office Has Large Desk with Wireless High-Speed Internet; Large Balcony with a Natural Gas Line Hook Up; Over-sized Tub and His and Her Sinks; and a Stack-able Washer and Dryer in Unit. 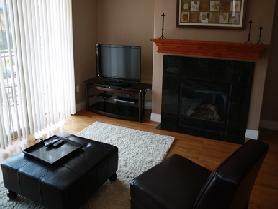 It is with in walking Distance to Light Rail, close to malls, restaurants, grocery stores, etc. To view more photos, maps, and information about this Dry Creek Crossing Fully Furnished Condo, please click here. 2 Bedroom/2 Bathroom Downtown Denver Loft blocks away from the Convention Center, Performing Arts Complex, Light Rail Station(s), and the 16th Street Mall with access to shopping, entertainment, bars, restaurants, nightlife, and public transportation. This building is secured and so is the elevator to get to your unit’s floor. This stunning property is 2-levels with 1,734 Square Feet. This loft features: 20+ ft ceilings; Upgraded maple cabinets; Granite and tile kitchen; Formal dining table; Original art; Ceiling to floor double living room windows; Hardwood floors; Office in master bedroom; City views; Detached garage parking; Full size washer and dryer in unit; and the upstairs loft has queen bed, full bath, television and sectional sofa. To view more photos, maps, and information about this gorgeous property, please click here. 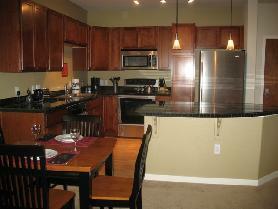 2 Bedroom/2 Bathroom Broomfield Loft (located off of I-36 and Interlocken). The building has some amazing amenities including a Clubhouse Business Center with Package Pick Up/Drop Off, Wireless Internet Access, Fax, Print, and Scan Services; Dry Cleaning Services; Professional Fitness Center, with Individual Entertainment Systems and Towel Service; Outdoor Pool and Spa; Outdoor Fireplace; On-site ATM; Great Room, with Big Screen, Partial Kitchen, Pool Table; and a Starbucks Coffee Center — Complimentary for all Homeowners and Guests. The unit also has some amazing qualities including 1,098 Square Feet; Balcony; Flat Panel TV in Living Room; Granite Counter-tops; King Bed in Master Bedroom with flat screen TV; Queen Bed in 2nd Bedroom; Sleeper Sofa; Fireplace; Underground Attached Parking; and a Washer/Dryer in Unit. To view more photos, maps, and information about this Broomfield loft, please click here.